Shu is a mythical creature with a horn in the middle of her head. She lives at the top of a tall tree and acts as the protector of the Urman forest. Together with her horse, Tu, Shu wanders the forest assuring that the weak are protected. One day, Shu awakes in a bad mood because she is no longer satisfied with her small, cramped home. 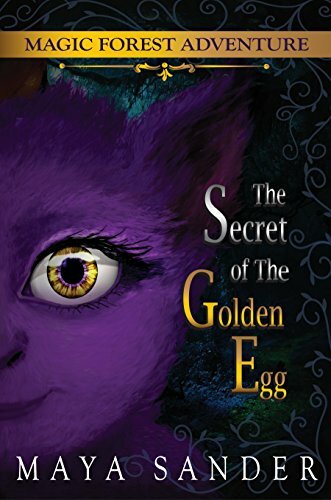 Shu has heard rumors of a golden egg that can turn into a castle, so she and her winged-horse friend seek out Yukka, a 1000-year-old viper who knows all. Yukka assigns Shu three tasks to complete before revealing where to find the golden egg. On the journey, Shu helps Su find her lost comb, restores the confidence of the Firebird, Rukh, and learns that appearances can be deceptive. Children come to understand the importance of helping others and the necessity of keeping our own needs in check. The tale is an old Tatar folktale that combines magic and fantasy with lessons to learn for humans. There are a few color illustrations that make this book choice more appealing for beginning readers. Recommended for ages seven through ten.